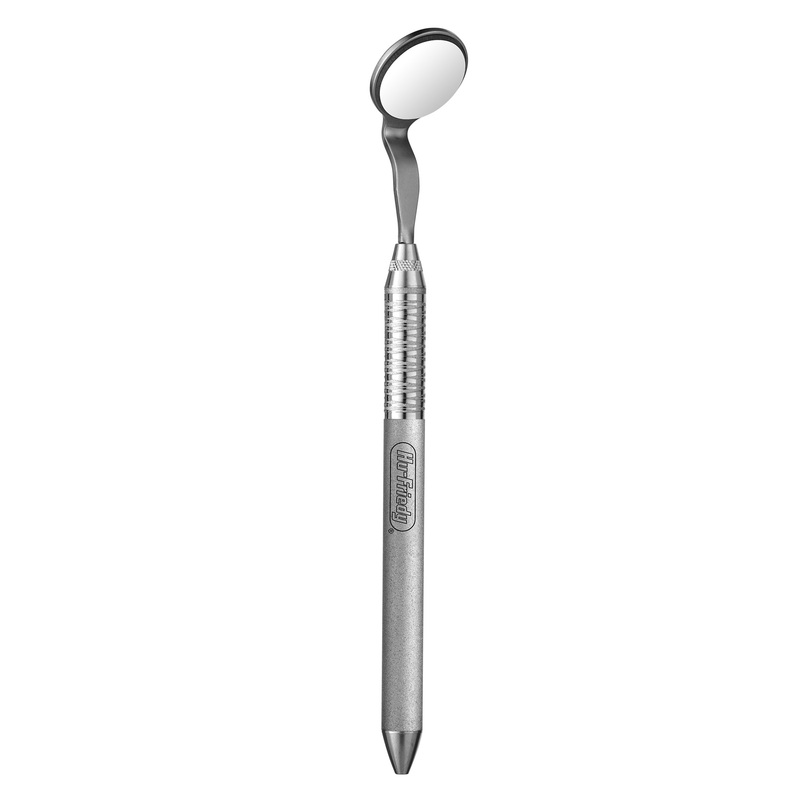 Featuring a proprietary coating, HD mirrors have a 113% reflection factor and are 38.5% brighter than standard rhodium-coated dental mirrors for excellent image clarity, color, and brightness during exams and procedures. The HD mirrors are also scratch-resistant for product longevity. HD mirrors are available in standard mirror sizes (#3, 4 and 5) in single and double sided options depending on clinician preference. HD mirrors can be purchased in Cone Socket or European Simple Stem designs.